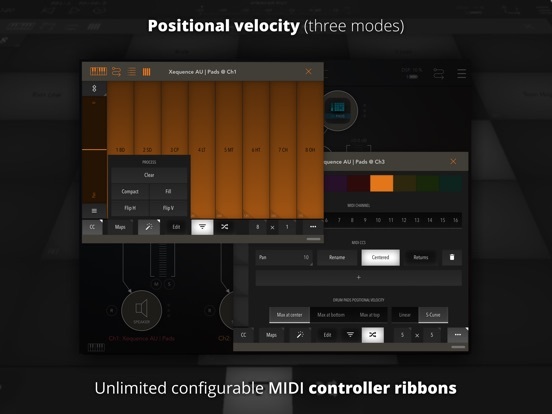 IMPORTANT: This app is targeted at music production enthusiasts and requires an AUv3 Audio Unit Host to run! 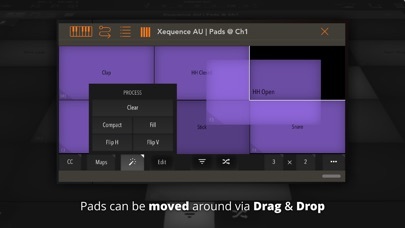 It does not do ANYTHING on its own! 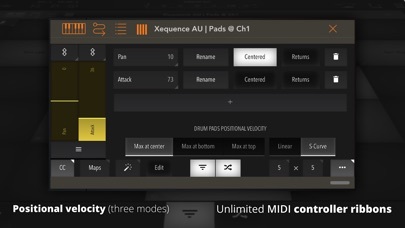 Also note that this app does not make any sound, it is a controller for other apps that do! 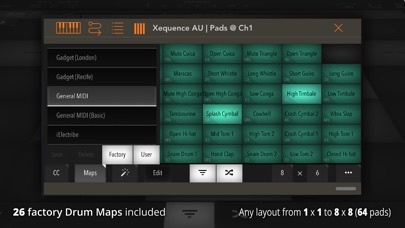 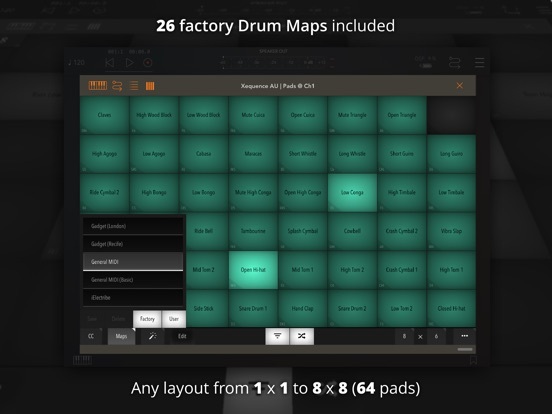 - Zoom to pad (new button in the bottom toolbar) - concentrate on a single pad for more accurate finger drumming. 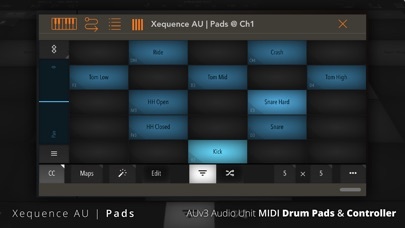 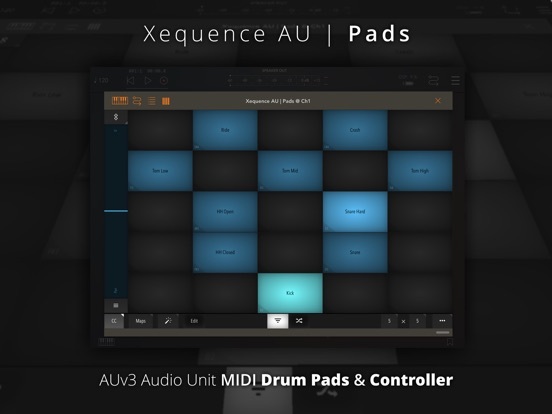 - Each pad can be assigned a custom MIDI channel. 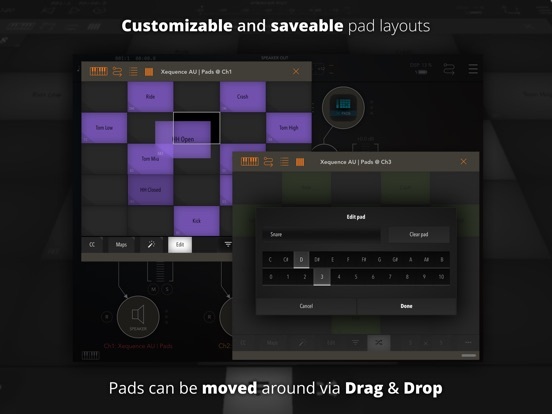 - Each pad can be assigned a custom color. 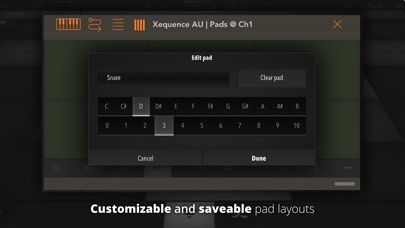 - The same note can now be assigned to multiple pads.